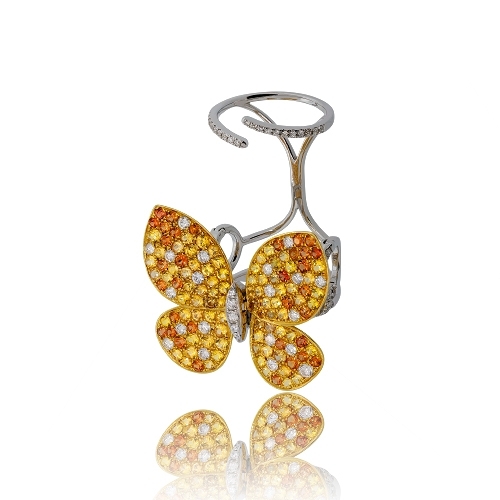 Orange & Yellow Sapphire Butterfly ring with flutter movement when finger is bent set with diamonds in 18k two-tone gold. Diamonds approx. 1.29ct. Ring size 6.75.